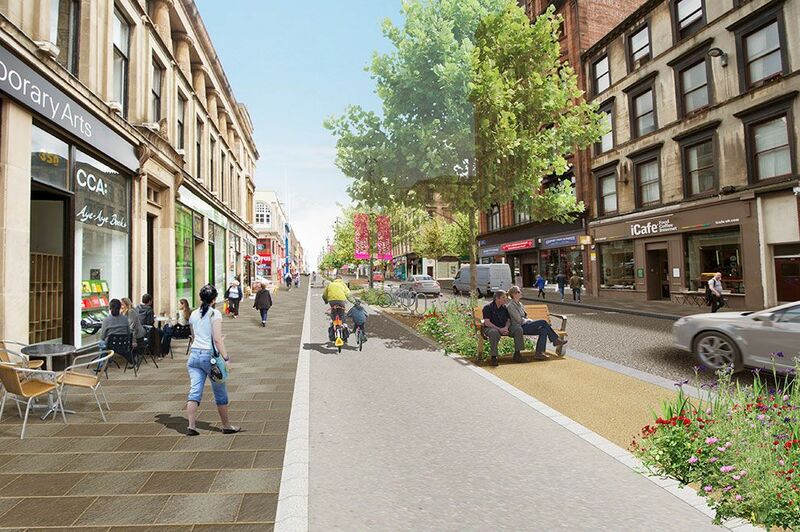 As part of the Glasgow City Region City Deal funding, Glasgow City Council is investing approximately £115 million within the city centre to deliver on the Enabling Infrastructure – Integrated Public Realm (EIIPR) programme. 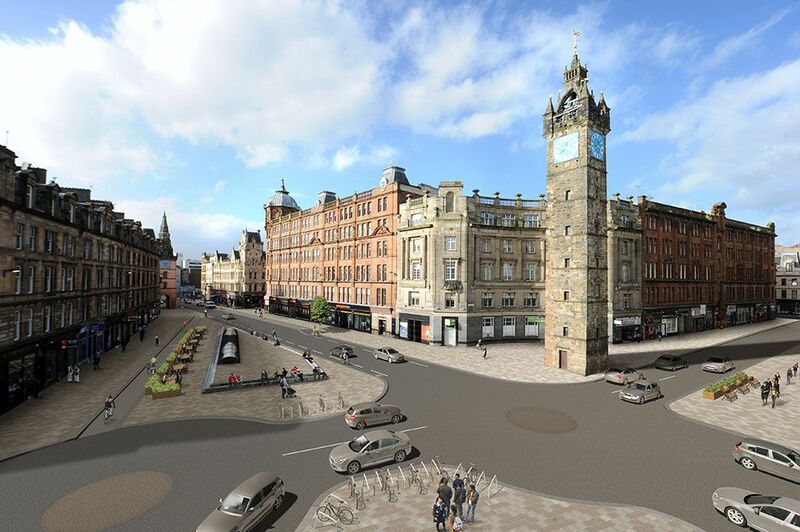 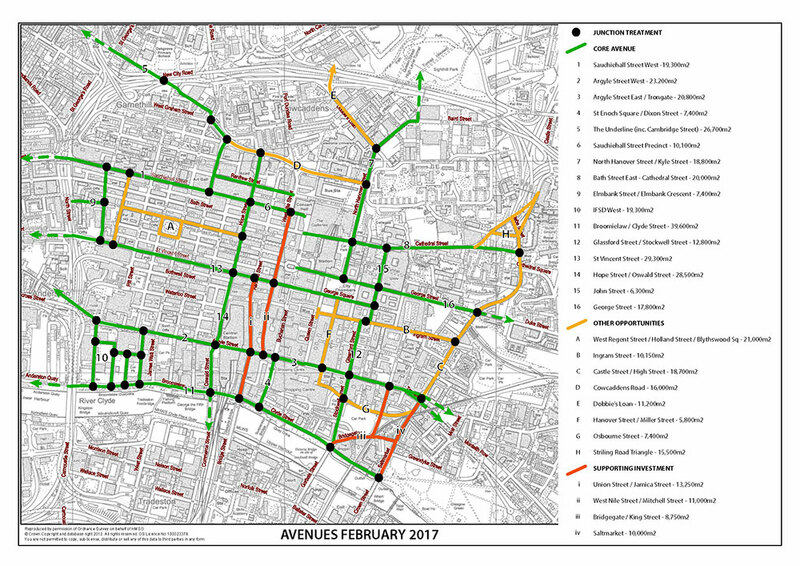 More commonly known as the Avenues programme, this will introduce streetscape improvements to the public realm, thereby supporting a key strategic objective of the City Centre Strategy and Action Plan 2014-19; the establishment of principal Avenues throughout the city centre to form an integrated network of continuous pedestrian and cycle priority routes. 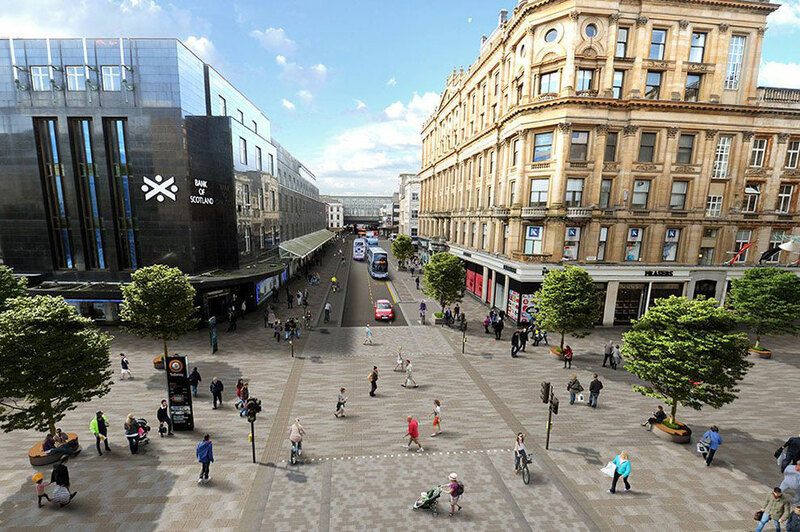 The Avenues will be used as a binding mechanism to integrate public realm and placemaking initiatives, making the city more attractive, “people-friendly”, and economically competitive. 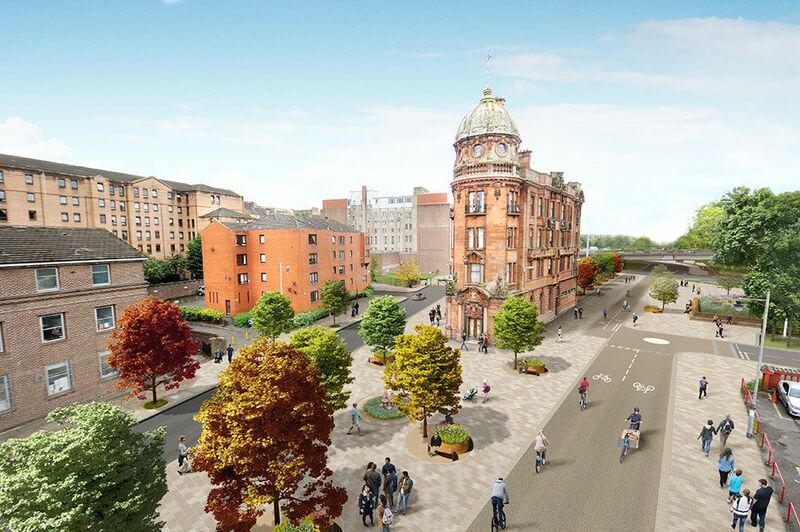 Civil and structural engineers, Civic Engineers have been appointed to lead the multidisciplinary team who will take the project concept design and public consultation through to developed design stage. 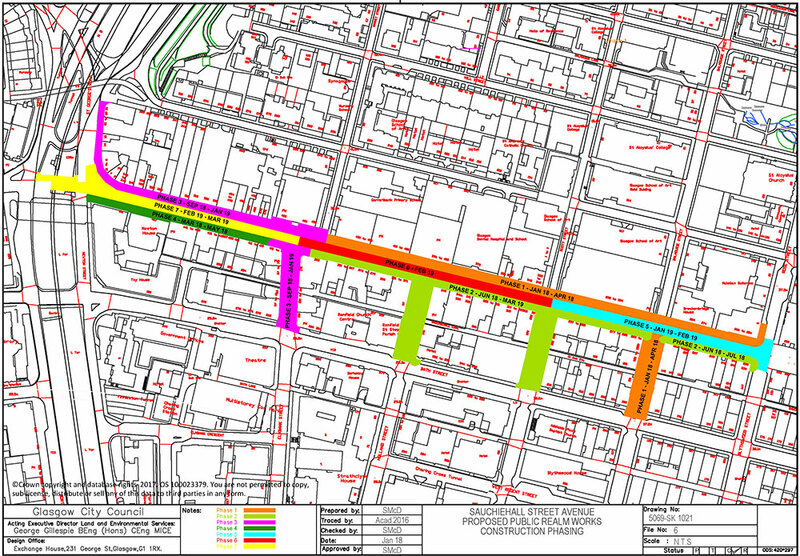 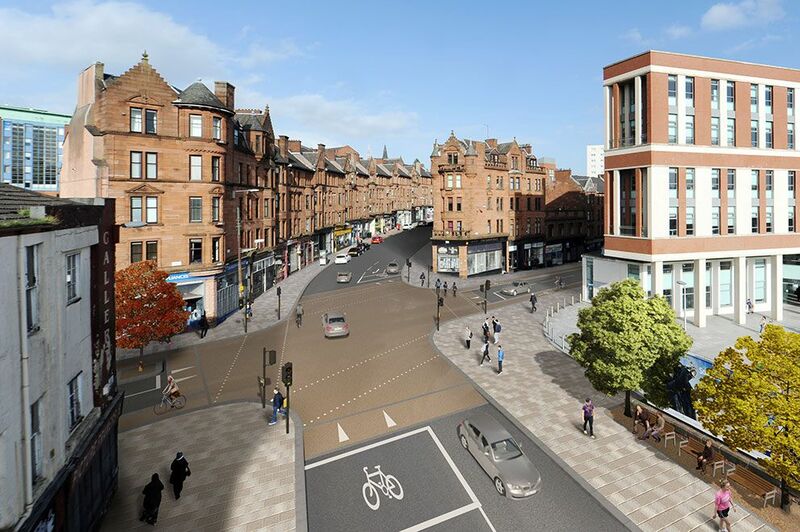 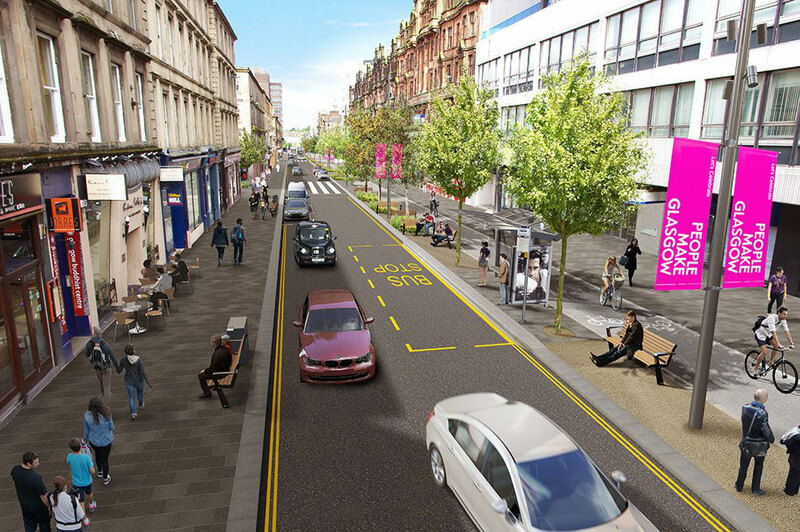 Works commenced on Sauchiehall Street in January 2018 and are anticipated to last approximately 18 months. 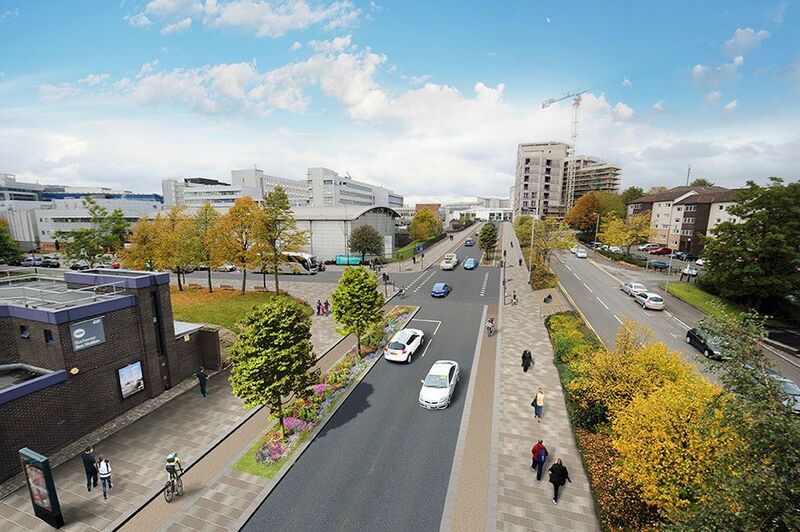 Further Avenue locations will be progressed in phases over the next 8 years.